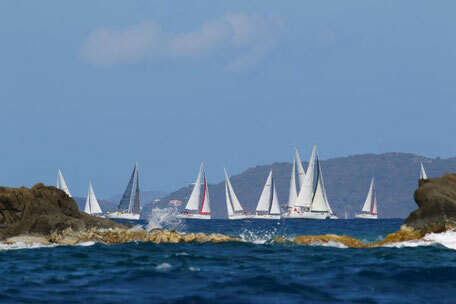 The organisers and supporters of the BVI Spring Regatta & Sailing Festival hosted by Nanny Cay have always stood firm and optimistic that the 47th edition of this much-loved regatta would take place over Easter as planned, and so it will. The Regatta will be the first major international event held since Hurricane Irma and Maria devastated the island group last September, and the BVI people have made great strides to re-build lives and get the show on the road. The running of the event this year will be a significant achievement for all those concerned. 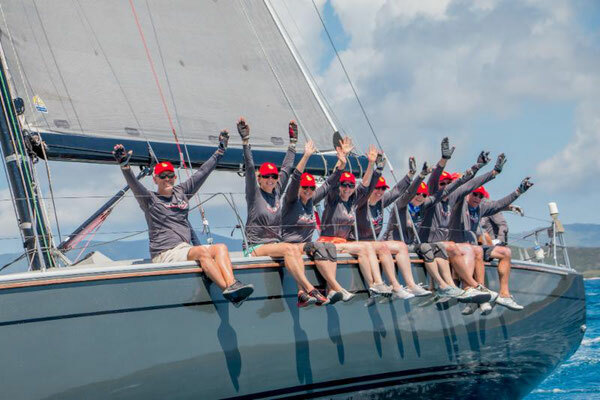 Everyone has worked tirelessly since the devastating hurricanes to ensure that the Regatta, which this year includes an exciting new full moon event offering competitors a chance to race around the beautiful British Virgin Islands, will go ahead. The 2018 BVI Spring Regatta & Sailing Festival kicks off with a four-day warm-up, followed by the main three-day regatta from 26th March to 1st April. Nanny Cay, home and host to event for the past 15 years is set to welcome some 60 yachts to the newly located Regatta Village sited in the Outer Marina which was completed in December 2016. This marina was relatively unscathed by the region's worst natural disaster on record and will be a perfect base for the teams to gather and enjoy the regatta. Competitors this year include a number of regular boats and crews who are keen to show their support, as well as friends of the Regatta from Puerto Rico, Antigua, BVI and other Caribbean Islands who were also affected by the 2017 hurricanes. The event is also thrilled that North American sailors, as well as those from the United Kingdom and Europe will be joining the festivities. 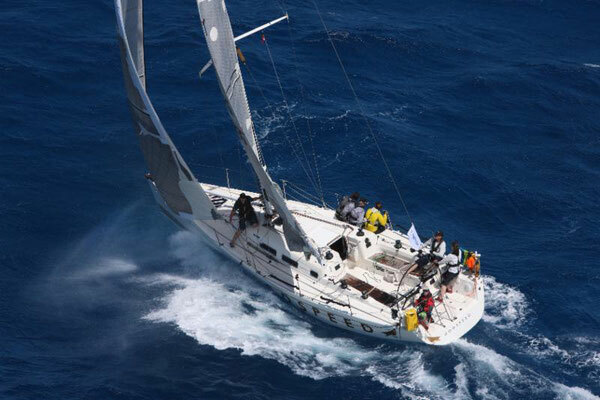 "We have been coming to the BVI for over 20 years and this will be our fifth Spring Regatta," said owner of Hanse 43 Avanti, Jeremi Jablonski from Cedar Point, CT, USA. "We were one of the first boats to arrive back at Nanny Cay last November and to witness the devastation after Irma. We were also the first to sign up for this year's event as we love the BVI and we are competing to show our support to our local friends." Peter Steinkogler's team on X-41 Godspeed from Union Yacht Club Traunsee in Austria is also back. Peter suffered a personal loss last year while competing in the regatta and had to unexpectedly fly home. 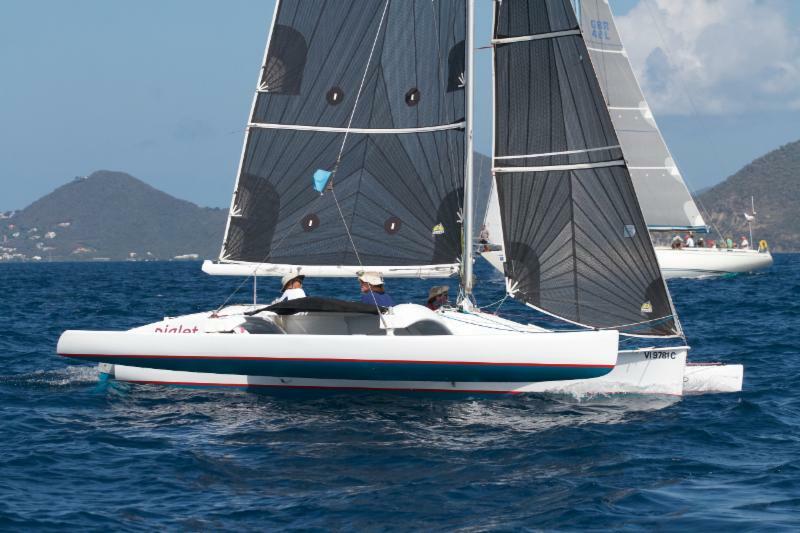 "This is my second time racing in the BVI Spring Regatta," he said. "Last year we won our first race before I had to leave, and my crew finished the event without me. This year I'm looking forward to sun, paradise, good racing and a Painkiller or two!" Peter is a 17-times European Austrian Champion in various boats, and Chief Sailing Instructor at Godspeed Sail Racing Academy. Tony Mack, member of the Royal Southern YC in Hamble UK and current J111 National Champion will be returning for his ninth Spring Regatta on the British J122, Team McFly/El Ocaso. The experienced team have had great success at the event in the past and Mack is looking forward to more great racing this year. Susan Glenny's First 40, The Sirens/Olympia's Tigress, also from the UK will host The Sirens Women's Yacht Racing team at this year's BVI Spring Regatta. The Sirens is an established all women's crew that races in the UK and the Caribbean to provide an opportunity for women to experience competitive racing. "I'm really looking forward to the awesome team we have coming out," said Glenny. Eddie Brockbank, Director of the BVI Spring Regatta and Sales Manager at Doyle Sailmakers BVI, will be competing on his Corsair Sprint 750 trimaran. "Lucky 7 is certainly living up to her name as the trimaran survived both hurricane Irma and Maria," said Brockbank whose first BVISR was back in 1988. This will be Brockbank's first time racing Lucky 7 in the Spring Regatta. Making it their silver anniversary edition will be Joe San Martin and crew on their much-loved Newick 23' Teegull trimaran Piglet which astonishingly made it through the Cat 5 hurricanes. From the St Croix Yacht Club, Piglet has raced in nearly every BVISR since the beginning. "Before multihulls gained popularity as racing boats, Piglet sometimes had only Triple Jack (who are good mates!) to race against - it was a David and Goliath situation," explained San Martin. "St Croix got whacked twice last September, but for the first time in eight major hurricanes, Piglet made it through with only minor damage. We hope to send at least three St Croix competitors to the BVI Spring Regatta which is pretty good considering how few boats we still have!" Several newcomers to this year's Regatta include Luigi Miranda's brand new Grand Soleil 52LC from Vieques, Puerto Rico racing as Estela Racing Team. "The boat was delivered to Italy last August and we sailed it around the Mediterranean for two+ months until it was shipped to the Americas," said Dalton. "We are looking forward to giving it our best during the competition and to having lots of fun." Newly retired David Baker from Bow Mar, CO, USA will be competing for the first time with his wife, son and friends on Team Infinite Beer (Windfall), a Beneteau/Moorings 45.3. "The boat is new to us as we are in The Moorings ownership program," explained Baker, a J/122 sailor. "It's twice as long as anything we have ever raced before! We're looking forward to meeting fellow sailors and racing a boat of this size in the fleet."